Mid-twentieth-century Sydneysiders embraced leisure like never before. 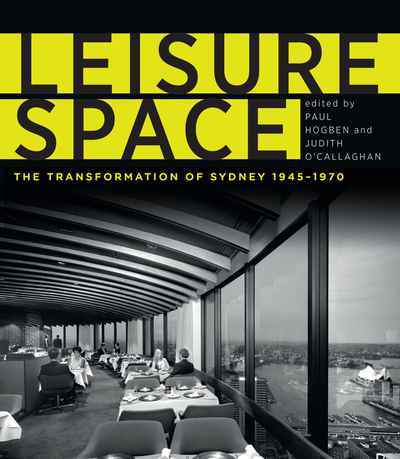 Leisure Space details the architecture and design that transformed their city – through its new hotels, motels, restaurants, bars, clubs, shopping centres, drive-ins and golf courses, including landmark buildings such as the Gazebo and the Wentworth Hotel. With stunning images from Max Dupain, Mark Strizic and other outstanding Australian photographers, Leisure Space explores a dynamic period in Sydney’s history and the dramatic impact of modernism on the city’s built environment. Paul Hogben is a senior lecturer in Architecture in the Faculty of Built Environment at UNSW Australia. Judith O’Callaghan is a senior lecturer in Interior Architecture in the Faculty of Built Environment at UNSW Australia and co-author of Designer Suburbs: Architects and Affordable Homes in Australia. Shortlisted for the NSW Premier's History Awards, New South Wales Community and Regional History Prizes.